Dr. Shari Meyerson is the new chief of thoracic surgery at UK HealthCare. 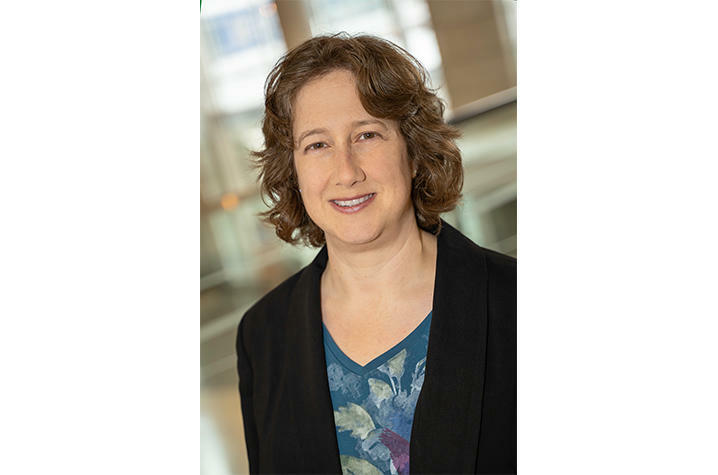 LEXINGTON, Ky. (Jan. 28, 2019) – Accomplished thoracic surgeon and nationally known educator Dr. Shari Meyerson has joined UK HealthCare as the new chief of thoracic surgery. Meyerson will direct the section of thoracic surgery as well as provide surgical leadership to the thoracic oncology team at the UK Markey Cancer Center. She comes to UK after nearly a decade at Northwestern University. In addition to her expertise in treating lung cancer, Meyerson cares for patients with a wide range of thoracic conditions, including esophageal, mediastinal and pleural diseases. She specializes in minimally invasive surgical techniques and has extensive experience performing and training others in video-assisted thoracic surgery (VATS). Recognized as an innovative educator, Meyerson will lead UK’s thoracic surgery training programs. Meyerson earned her medical degree from the University of Chicago Pritzker School of Medicine in 1996. She completed a residency in general surgery at University of Chicago Hospitals and a fellowship in thoracic surgery at Duke University Medical Center. In 2015, she completed a Master of Education degree at the University of Cincinnati to enhance her skills as an educator.